It’s that time of year again, The Carnegie invites any student between the ages of 7 and 18 who has ever attended Camp Carnegie or Artstop to take their skills to the next level and audition for WE ARE MONSTERS. WE ARE MONSTERS is a hilarious musical that follows human kids into a monster cabaret filled with quirky characters. The adventurous humans uncover vegetarian vampires and rock ‘n roll werewolves, gradually realizing there may be more to these monsters than meets the eye! Most importantly, these monsters and kids discover the importance of friendship and celebrating the attributes that make each of us different and unique. February 25, 2019 | 4:30-5 p.m., 5-5:30 p.m., 5:30-6 p.m., 6-6:30 p.m.
February 27, 2019 | 4:30-5 p.m., 5-5:30 p.m., 5:30-6 p.m., 6-6:30 p.m. The Carnegie will also be looking for older students interested in filling the roles of stage manager, dance captain, and stage crew. Rehearsals will be held on Mondays and Wednesdays from 4:30-6:30 p.m. March 11 – May 22, 2019. Students will not need to attend all rehearsals. Once we receive student conflicts, we will create a detailed rehearsal schedule. Tech week will be 4-7 p.m. from May 28 – May 31, 2019. All students must attend. Performances will be June 1 and 2 at 2 p.m. All students must attend. We are aware of the fact that many of the students have not auditioned before. We will be patient and gentle. For more information, or to schedule a time slot for auditions, please contact me at apaasch@thecarnegie.com. Be sure to leave the name and age of the participant, first and second choice for audition time, and a phone number and email address. 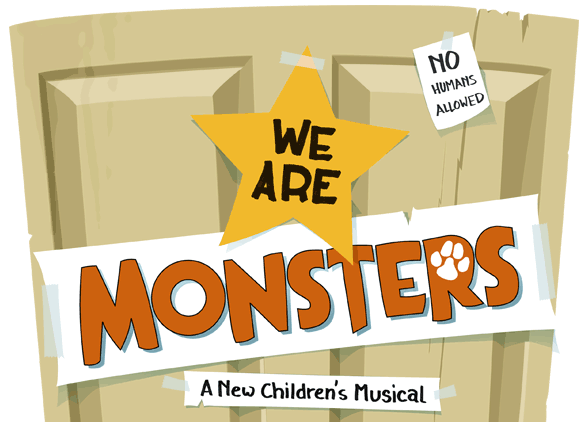 For more information on WE ARE MONSTERS, script samples, and song snippets, please visit http://www.bbbpress.com/musicals/we-are-monsters.